This scent gives you a sun-dried cotton combined with green notes, white flowers, and a hint of lemon. 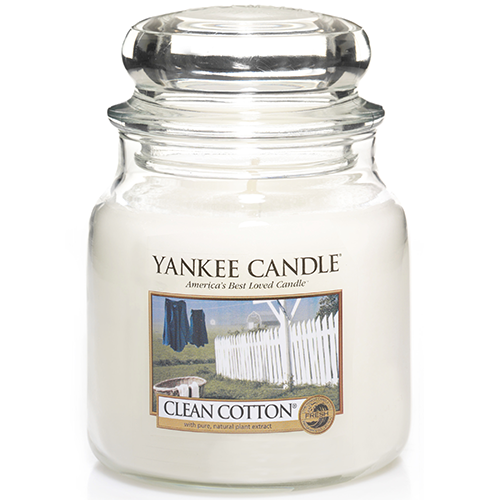 Have the best of the best when it comes to candles, and nothing beats a Yankee Candle. One of the world’s most popular and renowned brands for their candles and scented products. Giving us quality, long burning, homely scents that relive favourite memories to setting a mood helping make your house feel like home. Coming complete in the traditional design in their signature jar reflects a warm, relaxed sense of style that's always at home. Convenient and easy to use, these long-burning jars provide hours of true fragrance enjoyment. They're also the ideal gift for any occasion.